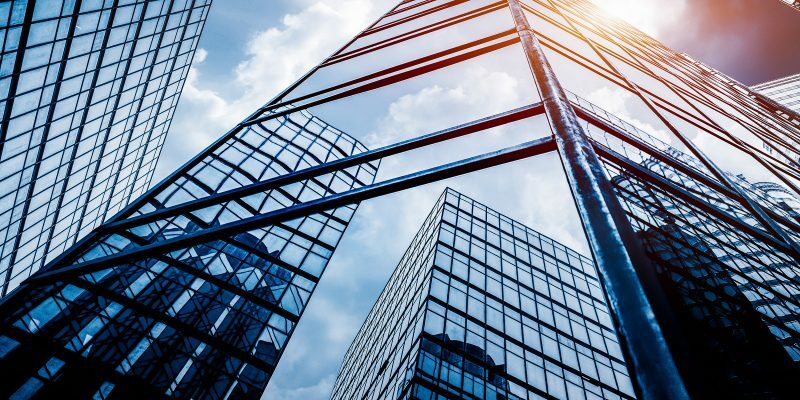 With heating and cooling among the largest costs for most buildings, building owners are intent on finding new and effective approaches for new buildings and improving performance of existing facilities. And as the industry continues the shift to sustainable building practices that maximize building performance while minimizing environmental impact, the type of HVAC system is an important factor in realizing energy- efficiency targets. Additional factors such as safety and code compliance, and costs related to serviceability and life cycle are among those that also must be considered in evaluating HVAC systems. Two heating and cooling methods often compared in terms of energy consumption and system performance are hydronic systems and variable refrigerant flow (VRF) systems. VRF systems use refrigerant as the primary heating/ cooling medium, comprised of a main compressor unit connected through refrigerant lines to multiple indoor cassette units that can be individually controlled. They were developed in the 1980s in Europe and Asia and introduced in the United States about a decade ago. HVAC system itself. Hydronic systems are better suited to handle buildings requiring 50 to 100 tons of cooling capacity or more. Hydronic systems also have the capacity to pump water efficiently over very long distances, such as a college campus or a high-rise office tower. In contrast, system efficiency in VRF goes down based on the length of refrigerant pipe runs. ASHRAE Standards 15 and 34 define specific refrigerant concentration limits based on pounds of refrigerant per thousand cubic feet of interior volume beyond which acute toxicity is expected. Typically, refrigerant charge in a VRF system is 4 to 6 pounds of refrigerant per ton of cooling. To adhere to ASHRAE 15 requirements, the VRF system may need to be broken down into smaller refrigerant circuits, thus compromising the benefits of diverting loads. Care must be taken to ensure the refrigerant piping is not installed down hallways or in a large open office floor plan, both of which are considered means of egress per standards set by ASHRAE and the International Association of Plumbing and Mechanical Officials (IAPMO). Even with ceiling-mounted fire suppression and sprinkler systems, these areas are still considered as the means of egress. While it’s possible for leaks to develop in both hydronic and VRF systems, a leak in a VRF system can be deadly. VRF refrigerant leaks can’t be detected by either sight or smell, making them hard to find and repair. In spaces with minimal ventilation, large concentrations of refrigerant gas in the air can put people at risk of asphyxiation. The same cannot be said for VRF refrigerants. The Environmental Protection Agency issued major changes to the Section 608 rules of the Clean Air Act, which govern the handling, use and sale of refrigerants. Most notable is the regulation banning the use of hydrofluorocarbons such as R-410A in new chillers (air-cooled, water-cooled, scroll, screw and centrifugal), rooftop units and VRF systems beginning in 2024.
detection and ventilation requirements per IAPMO and the International Code Council, which have adopted ASHRAE 15 Standards. In addition, each VRF manufacturer has a different protocol, which further reduces the pool of qualified technicians for installation and maintenance. Improper installation and maintenance can cause premature failure of VRF systems. The initial cost of a hydronic system is generally lower, and systems offer a much wider range of flexibility for components, operation and maintenance, both in terms of parts and service. Advanced systems include application of technologies such as integrated and single-pipe systems that dramatically reduce piping and costs, and pumps equipped with variable speed drives that increase energy efficiency. At lower temperatures, hydronic systems are more reliable than VRF systems. That’s because a VRF system may require a supplementary heat source in cold climates, such as electric heat, which could negate the energy efficiency of the system. Without another heat source, the VRF compressor can be set to run at maximum capacity for the morning warm-up, but that takes more electricity, potentially negating any efficiency benefits, including reduced energy costs. These and other considerations have relevancy for building owners, architects, design engineers and all those who have a stake in commercial building HVAC system design, installation, operation and maintenance. Those who influence system selections must be diligent in their analysis to ensure systems are code compliant, energy efficient and adaptable to future energy sources. The most efficient systems in terms of cost, performance and efficiency will be in demand to help meet energy goals and keep building costs in line. – Commercial Buildings Services market for Xylem. He holds a bachelor of science degree in polymer and fiber engineering from Auburn University. He has nearly 10 years of experience in the HVAC industry in a variety of sales, training and marketing roles. In addition, he is an active HIA-C and ASHRAE chapter member and is LEED AP certified.